​Equine chat forums are rich with tales of woe from unhappy horse buyers. Often, someone will post that horse sales are “buyer beware.” However, this is simply not true – horse sellers have a legal obligation to disclose every fact reasonably likely to influence the buyer’s decision and/or the horse’s fair market value. Here are some examples of common conditions horse sellers must disclose, and why. Please note this list is for illustrative purposes only and is not intended to be all-inclusive. Why horse sellers should disclose: Rearing is one of the most dangerous behaviors a horse can exhibit. A rearing horse can fall over backwards and crush its rider, or otherwise cause the rider to fall off and be seriously injured or even killed. Horses that have developed a habit of rearing are also notoriously difficult to train not to rear. Even if the horse hasn’t reared in a long time, the behavior may come back if the horse is in a new setting, has a new rider, etc. Why horse sellers should disclose: Bucking is dangerous because it can cause a rider to fall off and be seriously injured or even killed. And the severity of bucking is relative: One rider’s “crowhop” is another rider’s rodeo. Even if the horse hasn’t bucked in a long time, the behavior may come back if the horse eats a higher energy diet, has a different rider, receives less exercise, has a poor fitting saddle, etc. Why horse sellers should disclose: Spooking and bolting is dangerous because it can cause a rider to fall off (often at a high rate of speed) and be seriously injured or even killed. Even if the horse hasn’t bolted in a long time, the behavior may come back if the horse is exposed to new stimuli, eats a higher energy diet, receives less exercise, etc. And horses often exhibit this behavior unexpectedly, catching the rider or handler off guard. Why horse sellers should disclose: A horse that bites and/or kicks is dangerous, whether it bites or kicks people or other horses (or both). Even if a horse only bites or kicks in certain circumstances (e.g., while being fed), the horse will need careful management for safety purposes. 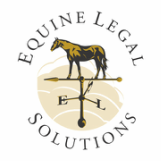 Why horse sellers should disclose: If the horse has seriously injured a person or another horse once, it may do so again. At the very least, the seller will seem dishonest if the buyer finds out the horse put the seller in the hospital and the seller “forgot” to mention it. Why horse sellers should disclose: Not only is this behavior annoying and destructive, horses that pull back when tied can seriously injure and even kill themselves. If the buyer knows the horse pulls back, the buyer can take appropriate measures to make sure the horse doesn’t hurt itself or anyone else. Why horse sellers should disclose: Not only are these stable vices annoying and destructive, they can adversely affect a horse’s health, and they may be symptoms of other health issues. Cribbing, windsucking and weaving are notoriously hard to correct, and often require careful management and special stabling accommodations. Other horses stabled or pastured with horses that crib, windsuck or weave may imitate these behaviors and start cribbing, windsucking or weaving themselves. Why horse sellers should disclose: A horse that has difficulty loading into a trailer and/or unloading from a trailer is not only a pain to deal with, it may also be dangerous to its handlers. A horse that scrambles or otherwise does not ride quietly in a trailer can cause injure itself and other horses in the trailer as well as cause damage to the inside of the trailer. Why horse sellers should disclose: Any active lameness, no matter how mild, affects the horse’s ability to perform, and will likely require veterinary care (and therefore expense). Further, some prior lameness issues, even if completely resolved, such as bowed tendons, may affect the horse’s suitability for a particular type and intensity of work. Other lameness issues, such as those caused by osteoarthritis, require ongoing management (and expense), and may lead to the horse being unable to perform in the future. The seller should inform the buyer, release all vet records to the buyer, and allow the buyer to make an informed purchase decision. Why horse sellers should disclose: A horse’s respiration directly affects its ability to perform. Heaves and other respiratory conditions often require careful management of the horse’s feed and environment, and some respiratory conditions may require medication and/or surgery. Why horse sellers should disclose: Some horses are more prone to colic than other horses, and may require careful management. Prior colic surgery is especially important to disclose because the horse may have complications in the future, including recurring colic episodes. Why horse sellers should disclose: Any surgical procedure may have an impact on the horse’s future health and soundness. Why horse sellers should disclose: Undescended testicles may render a stallion or colt infertile. Further, even if a cryptorchid is fertile, the buyer may not want to use him as a breeding animal because this condition is considered to be hereditary. Even if the buyer plans to geld the stallion or colt, an undescended testicle greatly increases the cost and risks of the gelding procedure.